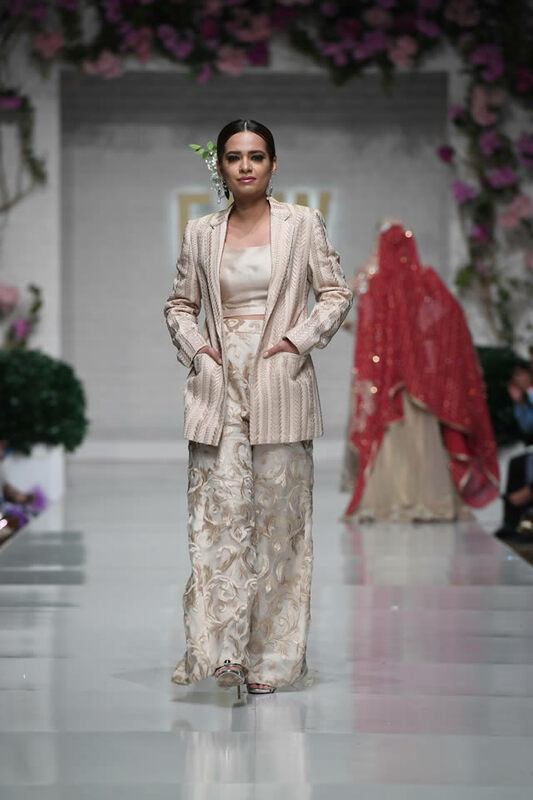 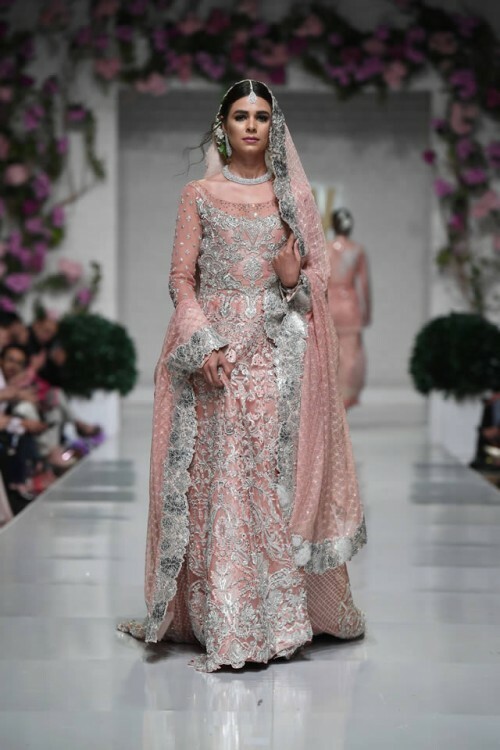 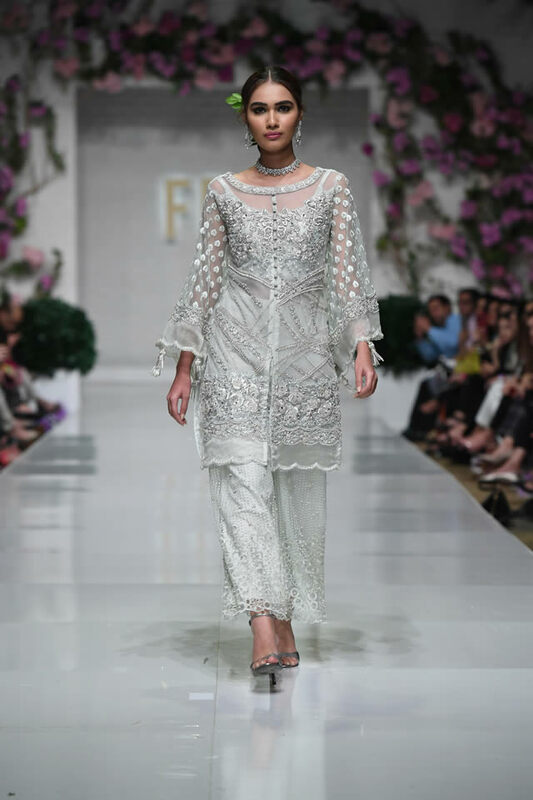 Zainab Chottani is the leading and popular fashion designer, who has launched the latest and unique dress collection, Zainab Chottani La fee Collection at FPW S/S 2019. 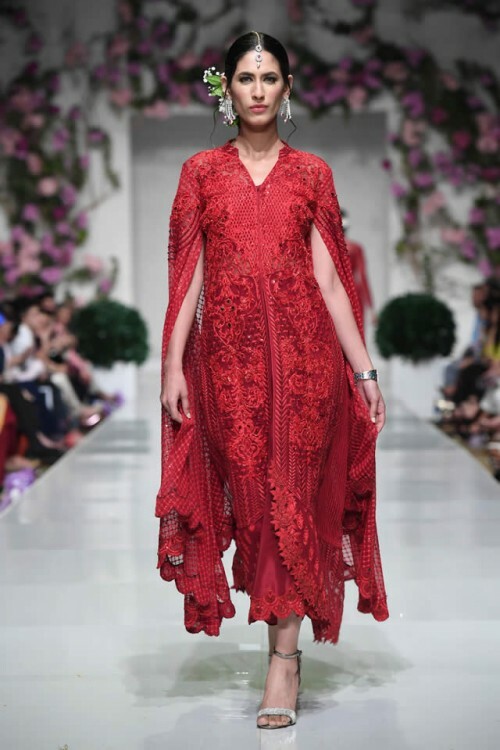 The dresses of this fashion collection are great for the coming spring / summer 2019. 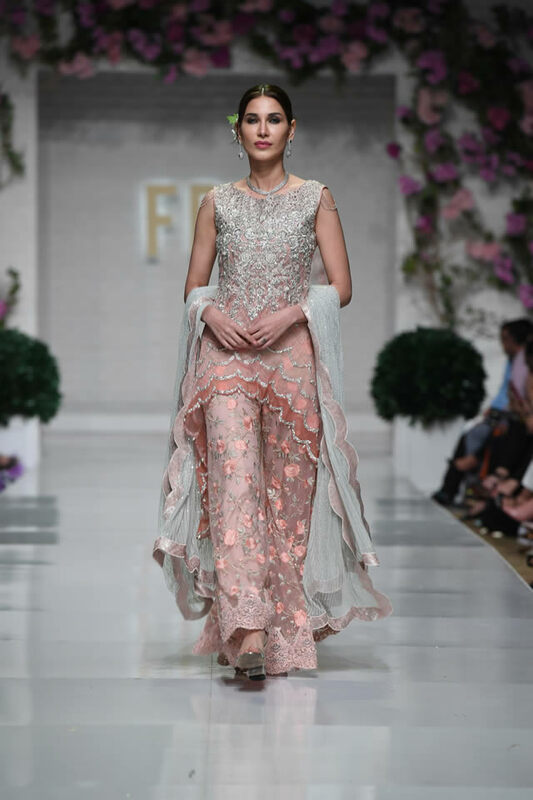 La fee has launched this dreamy collection to celebrate the ingenious orthodox handcraft in traditional style and the fashion designer has redefined elegance with subtle flamboyance in pastel and sparkling rouge color palette. 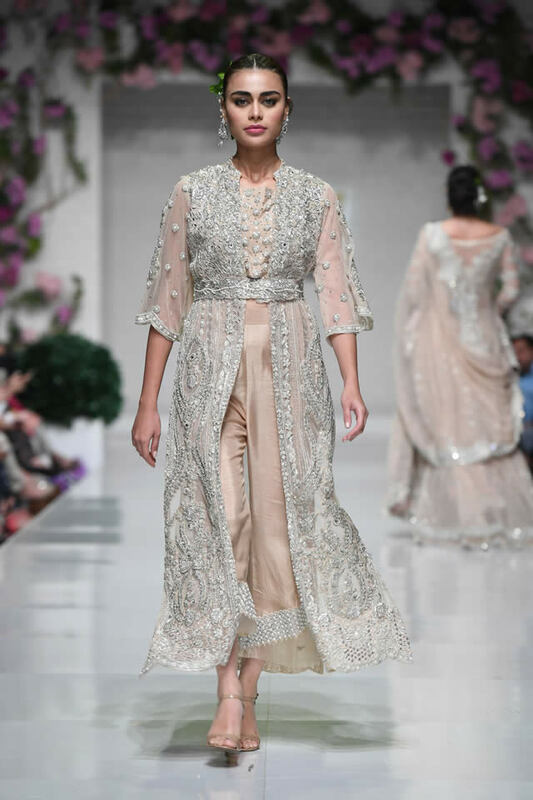 The collection is added with breezy silhouette with traditional craftsmanship, which is shown in majestic ensemble. 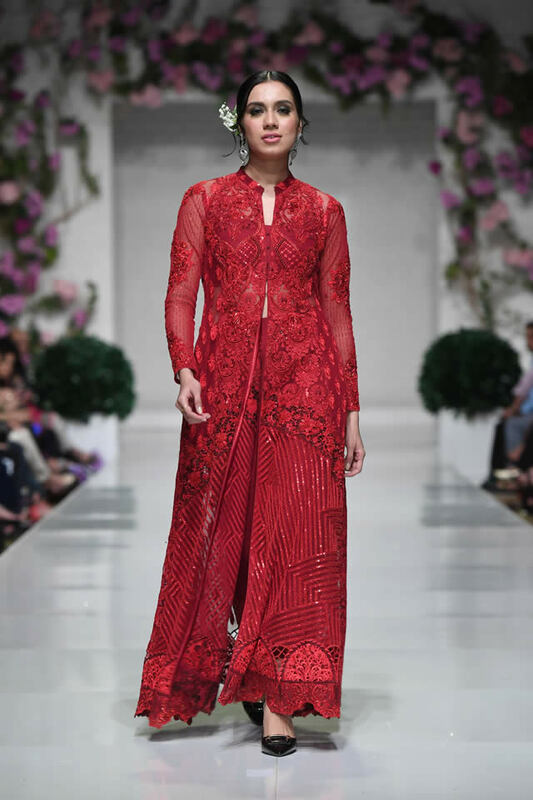 There are some of the fiery red traditional suits, which mesmerized others. 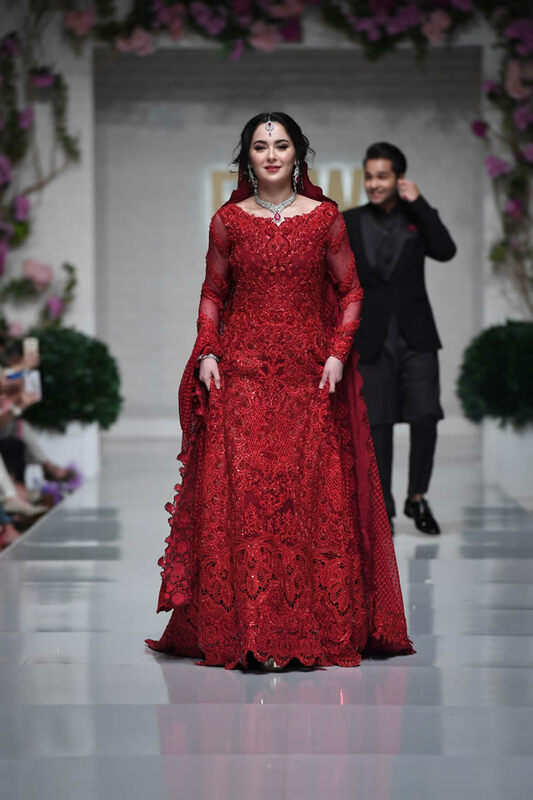 Asim Azhar is the leading singer and he put together on ramp with Hania Aamir and they showcased the dresses. 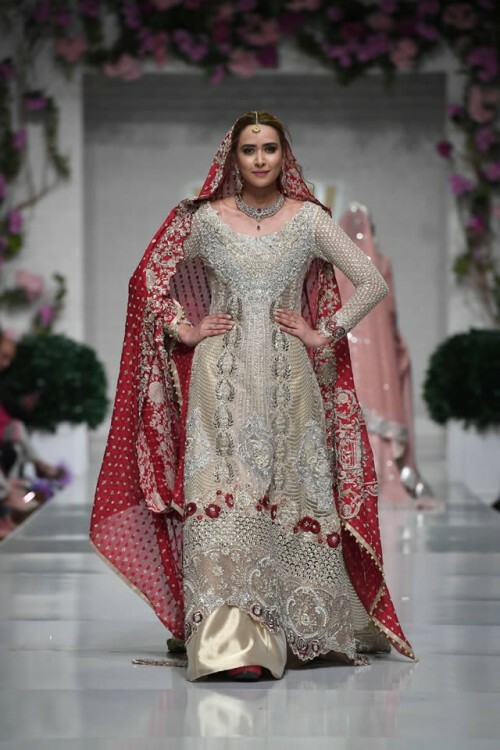 Fatima Zara Malik, Hania Aamir and Asim Azhar are the showstoppers for Zainab Chottani.